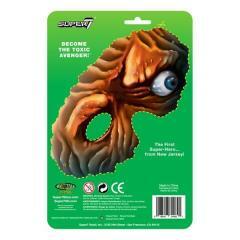 The first Super Hero from the State of New Jersey has arrived! 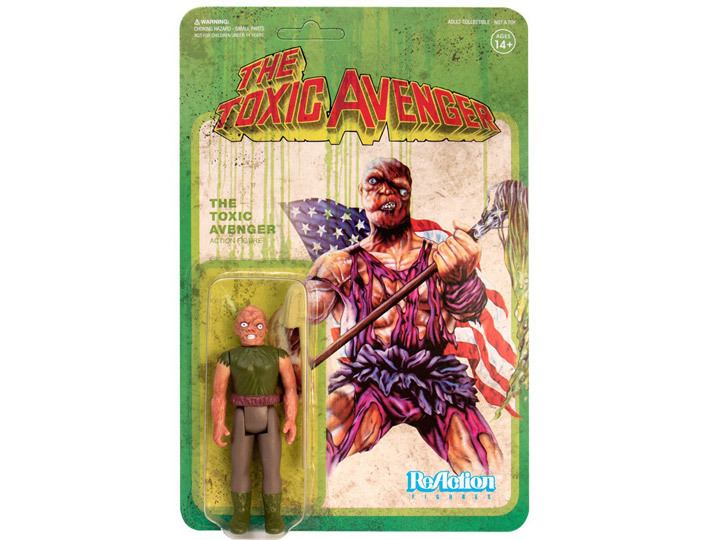 The Toxic Avenger, monstrously mutated by the hazardous sludge that triggered his terrible transformation, stands ready to clean up criminals wherever they crop up! Each 3.75" tall Toxie ReAction Figure is articulated at the shoulders, hips and neck, just like all your favorite fantasy figures from the 1970s and 80s - The Golden Age of action figures! The Toxic Avenger ReAction Figure comes packaged with mop accessory on a traditional blister card featuring the iconic Toxic Avenger movie poster on the front and a cut-out Toxie mask on the back!